This is a guest article by Joel “Thor” Neeb from Afterburner. In school, we were taught that 99% was an A+, and if you were the recipient of such a grade you would probably be accused of “blowing the curve” on the test for everyone else. Well, in today’s business world, 99% business execution is no longer good enough. In fact, it’s an “F”. Take, for instance, Amazon Web Services (AWS). Recently, AWS suffered an outage that lasted four hours and affected thousands of customers. So, should we be concerned? Is this a recurring problem for Amazon? Hardly. The “uptime”, or length of time between outages is measured in years. The servers at AWS have been up and running well over 99% of the time. But 99% is clearly not good enough. The outage made front page news across the globe and even caused the Amazon stock price to drop. Amazon is not the only company that is held to an incredibly high standard. Multiple airlines have had similar issues and their passengers threw a tantrum on social media. In the past, it was understandable to apply a “zero tolerance for error” mentality towards the products and services in a limited number of areas. For example, we held the automotive safety industry, the banking world, and a few other industries that operated in extremely high-stake environments to a predictably high standard. But these days it feels like every company must be perfect. We live in a world today where convenience has become an entitlement. A right. A world where any purchase can be made over an iPhone and delivered to your house within 24 hours, where the answer to just about every conceivable question is merely a Google search away. Our expectation for consistent, immediate and high-quality service is at a level never before seen in human history. But can we ever truly live up to these incredibly high standards? Can we ever truly score “100%”? We live in a world today where convenience has become an entitlement. I happen to know a little something about leading a team to meet incredibly high standards. I flew fighter planes and trainer aircraft for sixteen years, completing more than 2,500 missions. In that world, flying safely 99% of the time is a definitive “F”. My flying teams and I were safe and effective on 100% of our Missions. But we were never perfect – and that’s a critical distinction. Let me elaborate on what that distinction means to us. Towards the end of my flying career I was often asked to fly “checkrides” with students performing poorly in our training program. My job was to assess whether or not that student was capable of continuing his or her training, or if they would be removed and placed in a non-flying role for the rest of their career. Impeccable means that you operate within the clearly defined constraints of mission success. Impeccable means that although we will make countless errors while flying, we will ensure that our flights are safe and effective above all else. “99% safe” is not good enough. In the Thunderbird way, each demonstration pilot trusts that the skilled aviator flying 18 inches from them, or the opposing solo closing directly at them with over 1400 MPH of combined speed, will execute their maneuver with extreme precision and detail. This disciplined attention to detail enables a team to consistently produce precision. But there are mistakes made in every mission. We acknowledge those mistakes in a debrief and conduct a thorough root cause analysis to ensure we never make the same mistake twice. We fail early and often in small ways so we don’t fail in big ways down the road during a performance in front of an audience with hundreds of thousands of people. Some companies have been winning the war on appearing flawless, too. Have you ever tried logging onto Google.com and not been able to access the site? Probably not – according to the reliability team that Afterburner has worked with it’s only been offline for a total of nine minutes in the last 15 years. So, do you work in one of the increasingly growing number of markets that expect “impeccable” performance? Shift your team’s definition of impeccable by defining the new standard, what it could mean for the organization if they achieved that standard, and also define what will happen if they don’t change. Mistakes can’t be hidden or brushed under the rug – any errors we make in execution need to be immediately identified and Debriefed to discover the root cause for that misstep. In order to maintain a team that consistently meets levels of impeccable execution, we need to establish a learning culture that iterates and improves organically over time. No matter what market you’re in today, chances are your customers are expecting near-flawless service and product quality from you. Globalization, technology and improved internal processes have raised the stakes for all of us. However, impeccable execution is not impossible as long as we have clearly defined our definition of success, identify errors early, and iterate quickly to avoid making the same mistake twice and to scale best practices. Perfection might be never achieved, but adaptability and flexibility can be taught. 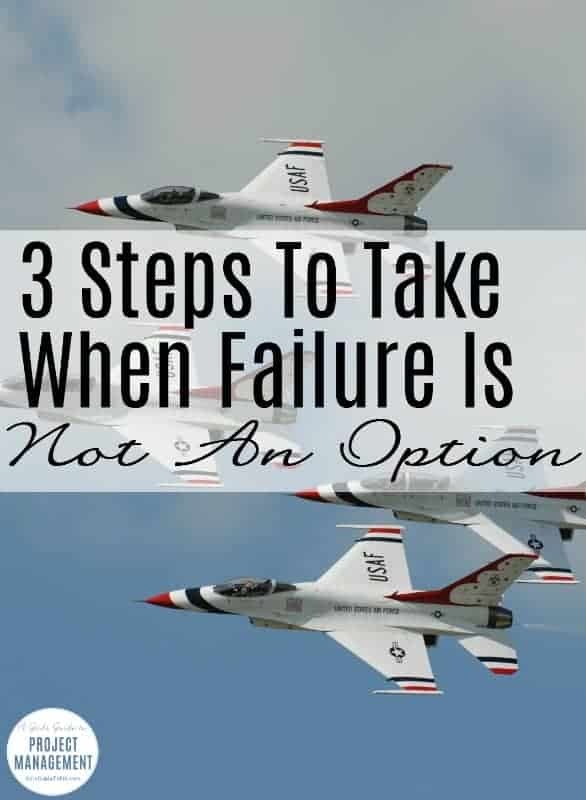 In today’s business world just as failure is not an option, inflexibility is not one either. We need to teach teams to adjust to every predicament and continuously improve their processes. Perfection might be never achieved, but adaptability and flexibility can be taught. Agile and Scrum serves exactly that. The ability for teams to plan, execute, adapt, and improve along the way. Our business execution will never be perfect – but we can teach our teams to be Agile. Joel “Thor” Neeb will be speaking at the Agile and Scrum Virtual Conference, going live on May 4th. He will focus on how enterprises can use Agile to deliver impeccable results and improve their ROI. About the Author: Joel “Thor” Neeb, leads the Afterburner team of more than 60 elite military professionals. 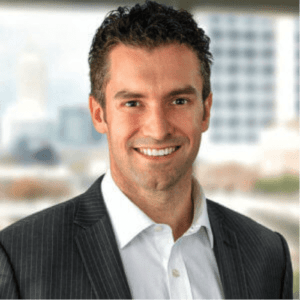 His experiences in executive leadership within the military and at Afterburner have helped him accelerate business execution performance for Fortune 100 companies within all industries including tech, pharmaceuticals, finance, retail apparel and several NFL teams. Thor shares his unique insights on remaining impeccable when flying fighter jets and in business.